Members who serve on the ARES (Amateur Radio Emergency Service) Team formalize this work with additional training and drills. ARES served agencies include County Emergency Management and the American Red Cross. Todd Beay AC9EX is the ARES Emergency Coordinator in Fond du Lac County. 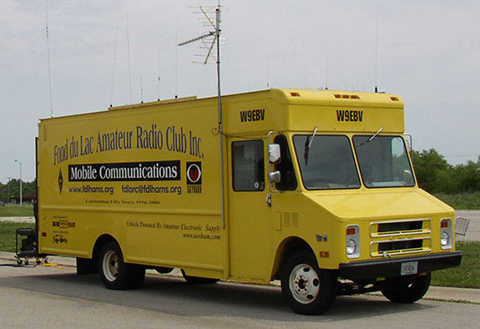 The Club owns and operates a mobile communications unit that is equipped with radio gear that will help us serve in a disaster. Download the Truck Manual (PDF).